2pcs Quadcopter Landing Gear Fit Syma X8 X8C X8W X8G X8HG X8HW Spare Parts by uptogethertek at Open Drone. Hurry! Limited time offer. Offer valid only while supplies last. 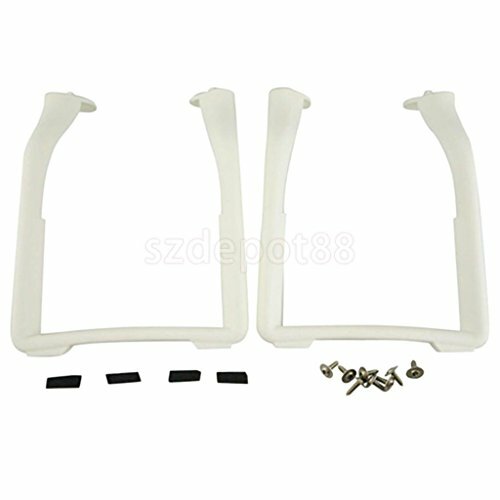 Landing gear for syma x8 x8c x8w x8g x8hc x8hw x8hg rc drone spare parts upgrade version - made of high quality plastic, durable and lightweight - quantity: 1 set( 2 pieces landing gear ). Material: plastic note: rc drone is not included. Package includes: 2 pieces landing gear.